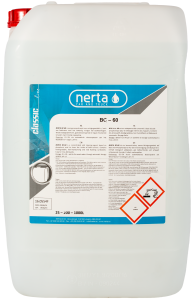 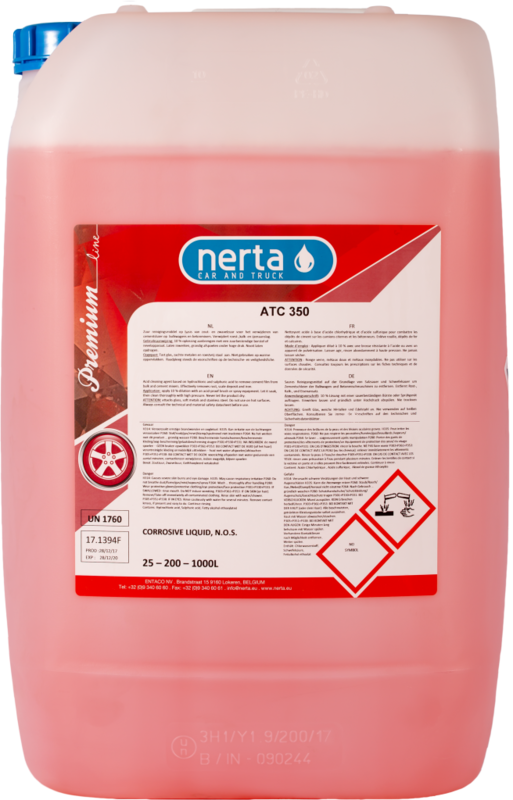 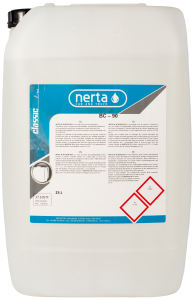 NERTA ATC 350 is an acid cleaning agent developed to remove cement deposits on cement tankers and mixers. 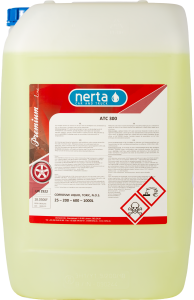 ATC 350 is a powerful, acid cleaning agent without hydrofluoric developped especially to fight cement deposit on tankers and cement mixers and to remove scale in the construction industry and public works. 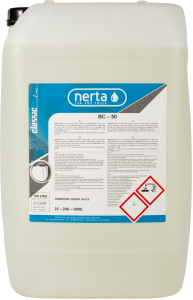 Removes traces of lime. 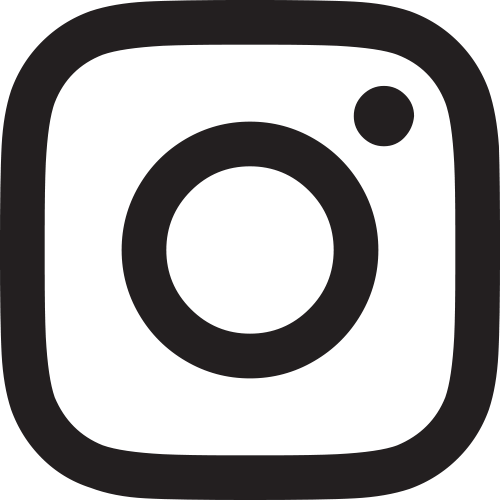 Are you interested in ATC 350?